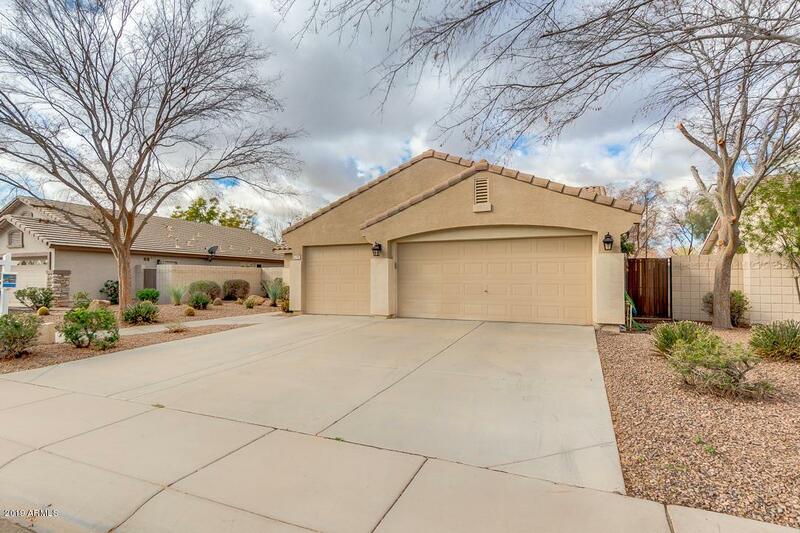 ***Gorgeous, UPDATED home is the amazing ASHLAND RANCH! 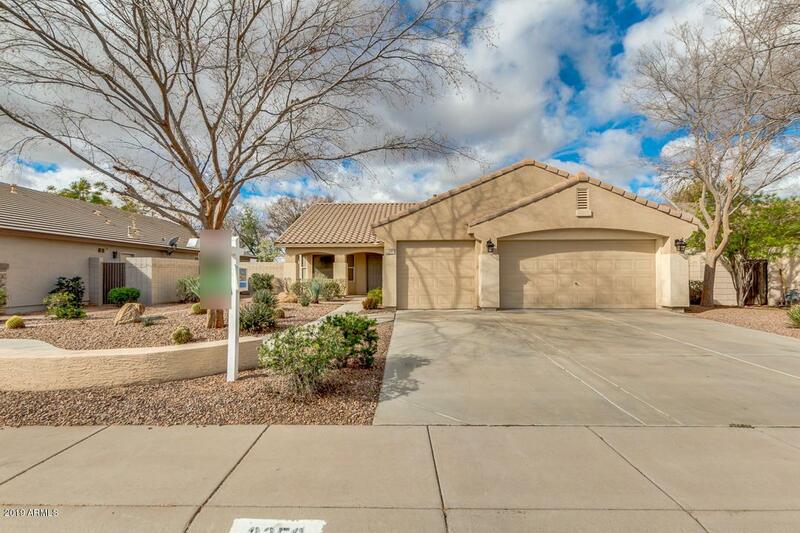 *** Single level, split floor plan with 3 beds PLUS a den/office, 2 bath and 3 CAR GARAGE! 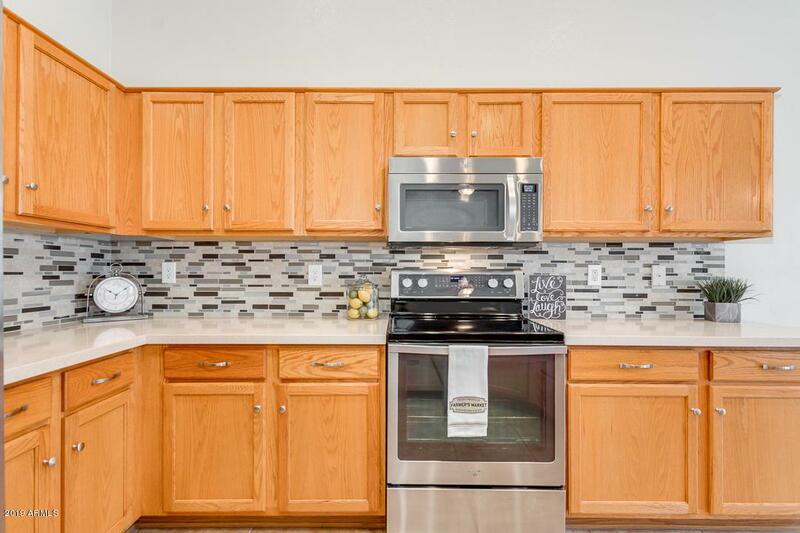 This gorgeous UPDATED home has NEW quartz countertops, NEW gorgeous backsplash, NEW interior paint throughout and NEW stainless steel appliances! Features include 20' tile, large kitchen island, kitchen pantry, spacious family room with surround sound pre-wire, gas fireplace and decorative niches. Dual sinks in all bathrooms, master has large roman tub, separate shower and plenty of space. Hallway has built-in cabinets & counter space. 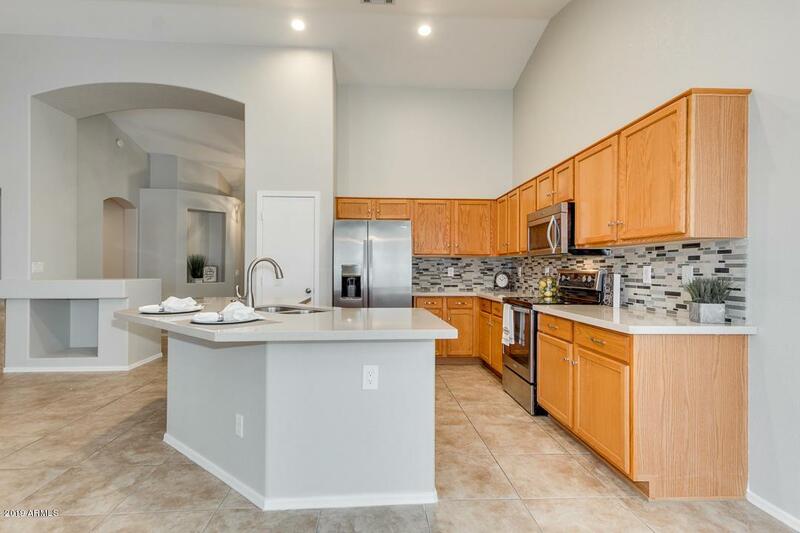 Close to community parks, San Tan Mall, Shopping centers, the 202 & more. You will LOVE this home!